Tolu Fahamokioa has made 10 good tackles so far this game. James O'Reilly has made 10 good tackles so far this game. James Blackwell has made 10 good tackles so far this game. Auckland decide to make a substitution, with Mike Sosene Feagai getting some game time. Auckland decide to make a substitution, with Robbie Abel being replaced. Tinoai Faiane sets up the try. Incisive passing by Auckland is finished off by Jordan Trainor, as he goes over for the try. The defensive line has been broken as Tinoai Faiane goes through the gap. Wellington make a substitution with Carlos Price coming on. Wellington make a substitution with Kemara Hauiti-Parapara coming off. What a run here by Salesi Rayasi as they gets over the gainline!. Silky skills by Auckland ends with a try for Salesi Rayasi. Akira Ioane makes the break as the defence re-enacts the parting of the red sea. Matt Proctor has made 10 good tackles so far this game. Wellington sub Billy Proctor comes onto the field. Thomas Umaga-Jensen departs for Wellington. Mateaki Kafatolu (Wellington) is shown a yellow card. 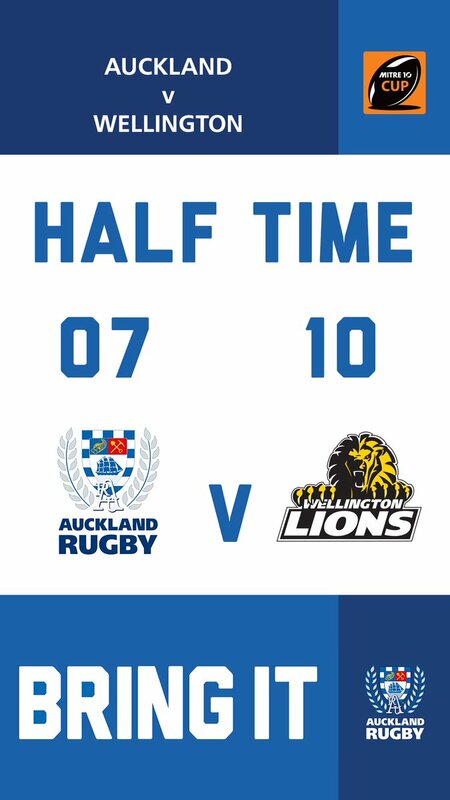 Fabulous play by Auckland has led to Tinoai Faiane being able to wriggle through a gap. Ezekiel Lindenmuth comes on for Auckland. Sam Prattley leaves the field. Jonathan Ruru sets up the try. A stunning solo try from Tinoai Faiane. Trouble here as Tinoai Faiane breaches the defence. Auckland decide to make a substitution, with Jordan Trainor getting some game time. Auckland decide to make a substitution, with Jacob Umaga being replaced. A wonderful passing move by Wellington is finished off by Ben Lam. Harry Plummer has made 10 good tackles so far this game. Wellington make a substitution with Thomas Waldrom coming on. Wellington make a substitution with Galu Taufale coming off. Auckland sub Jamie Lane comes onto the field. Michael Fatialofa departs for Auckland. Jonathan Ruru comes on for Auckland. Leon Fukofuka leaves the field. Harry Plummer kicks the penalty. A gap opened in the defence and Teariki Ben-Nicholas took full advantage. Try saving tackle made by Malo Tuitama. The defensive line has been broken as Salesi Rayasi goes through the gap. What a run here by Jacob Umaga as they gets over the gainline!. Asafo Aumua makes the break as the defence re-enacts the parting of the red sea. Trouble here as Melani Nanai breaches the defence. That's a great try assist by Tinoai Faiane. Great hands by Auckland leads to a try for Tumua Manu. This is dangerous for the defence as Tumua Manu bursts through to advance the Auckland attack. 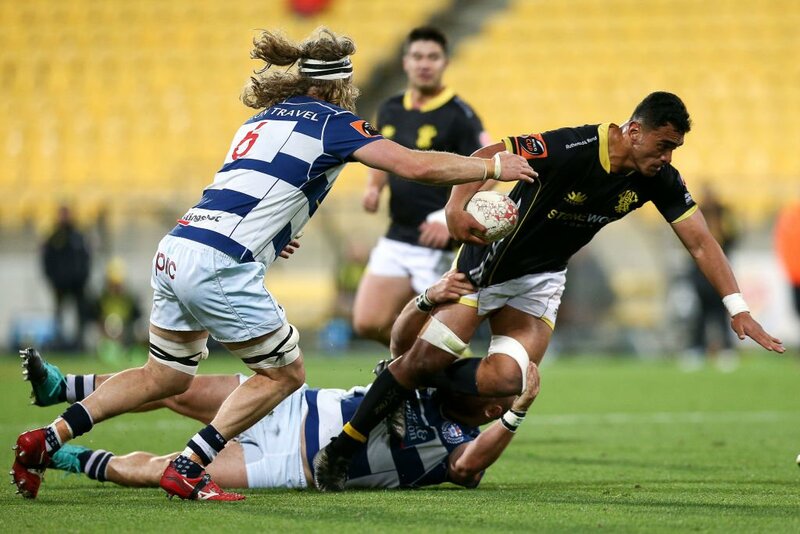 A gap opened in the defence and Melani Nanai took full advantage. Asafo Aumua sets up the try. Wellington are only a few metres out, surely they must score! And they do with Galu Taufale touching down. What a tackle there by Leon Fukofuka as he saves a certain try!. 80’ | Siren goes off, the ball goes out to Harry who kicks it out. 79’ | Another Auckland scrum, the boys are fighting to keep possession of the ball for the final minute. 75’ | Strong scrum by Auckland. 5 minutes to go! 71’ | Converted by No. 10 Harry Plummer. Boys are on a comeback! 70’ | 80 METER TRY!!! Breakaway by No. 12 TJ Faiane, passed to No. 23 Jordan Trainor who finished off the job!!! 68’ | TRY TIME for No.11 Salesi Rayasi. Conversion unsuccessful. 67’ | Yellow Card for @WgtnRugby No. 7 Mateaki Kafatolu for a dangerous tackle. 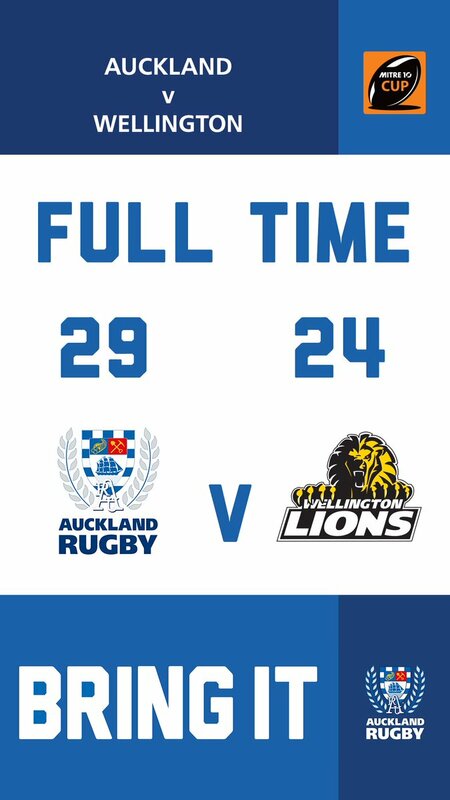 62’ | Auckland line out, won. The boys are looking hungry for another try. 58’ | TRY TIME for our Captain No. 12 TJ Faiane! 39’ | Another possible try for Auckland, went up to TMO - Knocked on. 39’ | Auckland advantage, 5 meter scrum. 28’ | Big defense from the boys. Gaining themselves a line out. 24’ | TRY TIME No.13 Tumua Manu! First points for Auckland tonight.